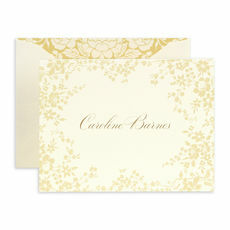 Set of 25 flat notecards with a beautiful border design. 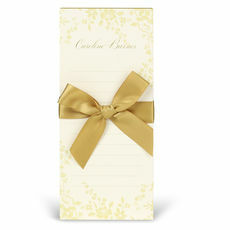 Packaged in an elegant gift box ready for gift giving. Your choice of typestyle. Size is 6.25" x 4.5". Flat printed in ink color as shown. Option return address and envelope linings, as shown, also available. Positioning only as shown.